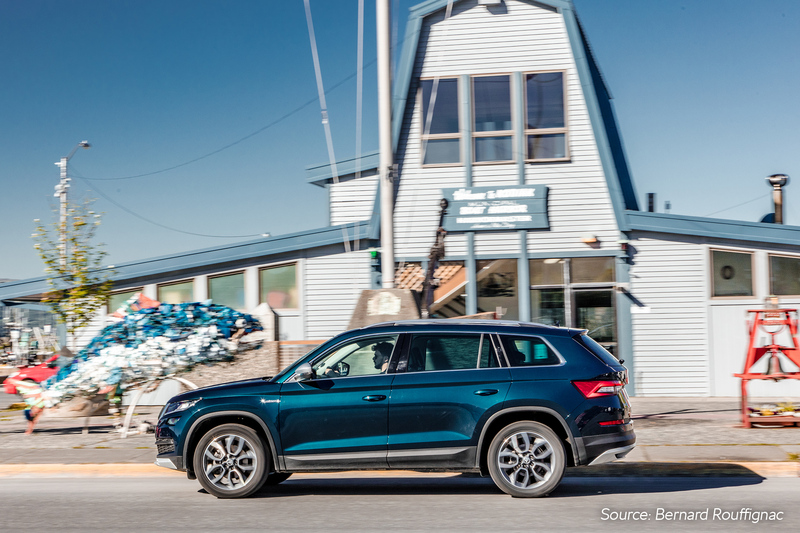 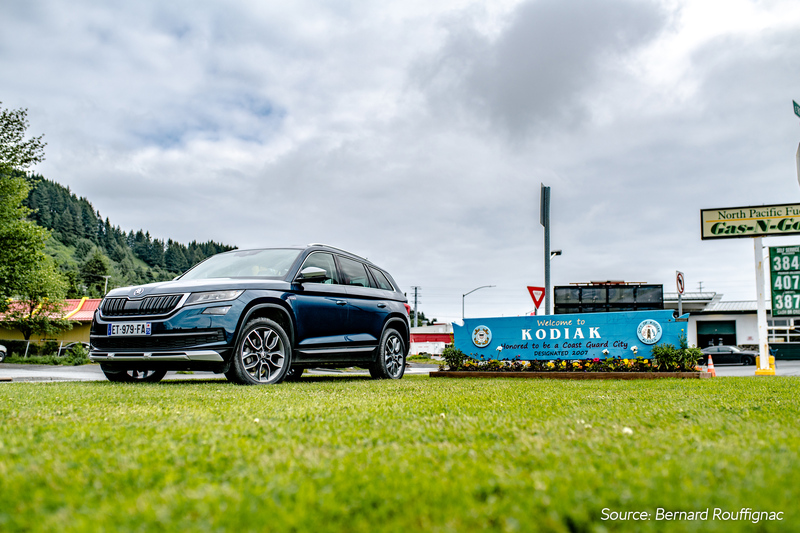 The ŠKODA KODIAQ has introduced itself to the people of KODIAK island in Alaska, which has very close links with the popular SUV’s name. 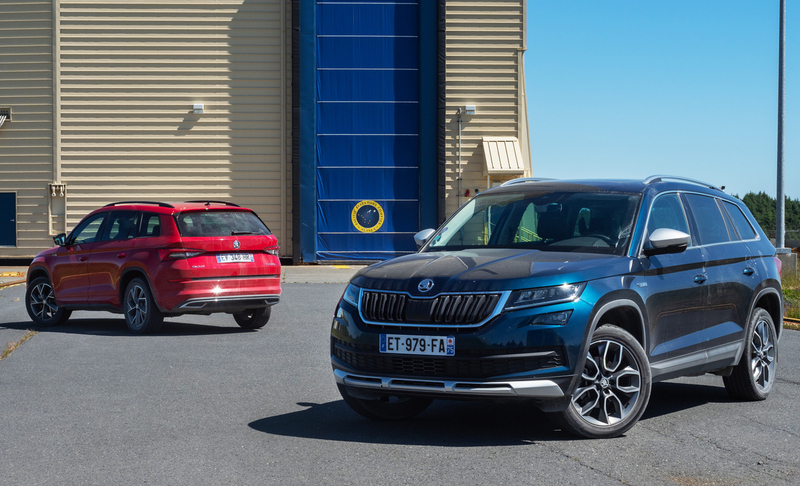 The ŠKODA KODIAQ SCOUT and KODIAQ SPORTLINE had to travel more than 8,000 kilometres via air, sea and land to get from Europe to Alaska. 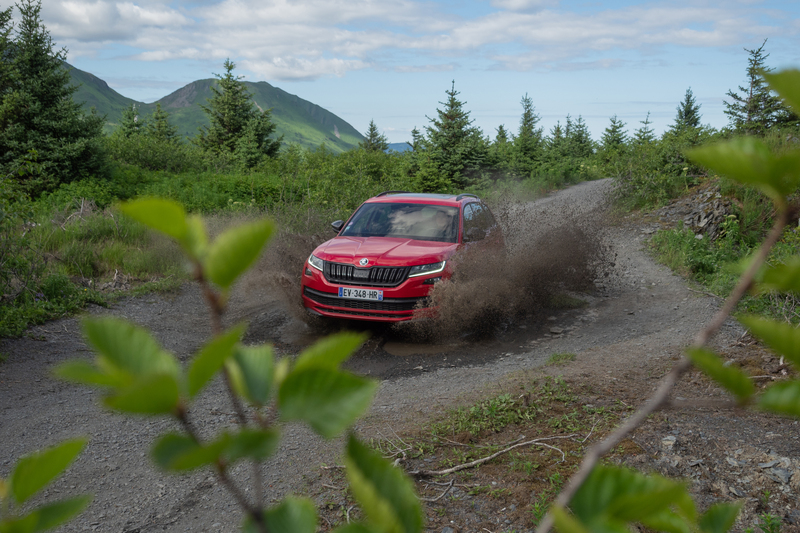 KODIAK Island is home to 14,000 inhabitants and some 3,500 bears, who gave their name to ŠKODA’s large SUV. 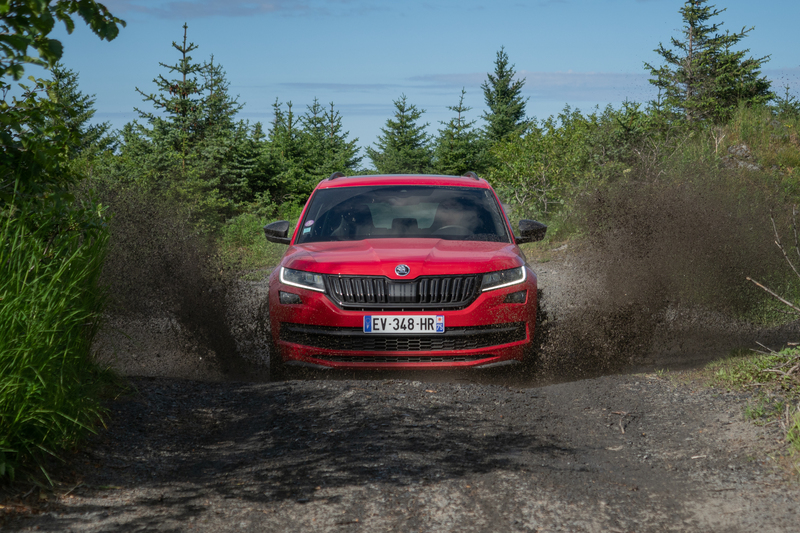 In the language of the indigenous people, “Kodiaq” denotes the world’s largest subspecies of brown bear. 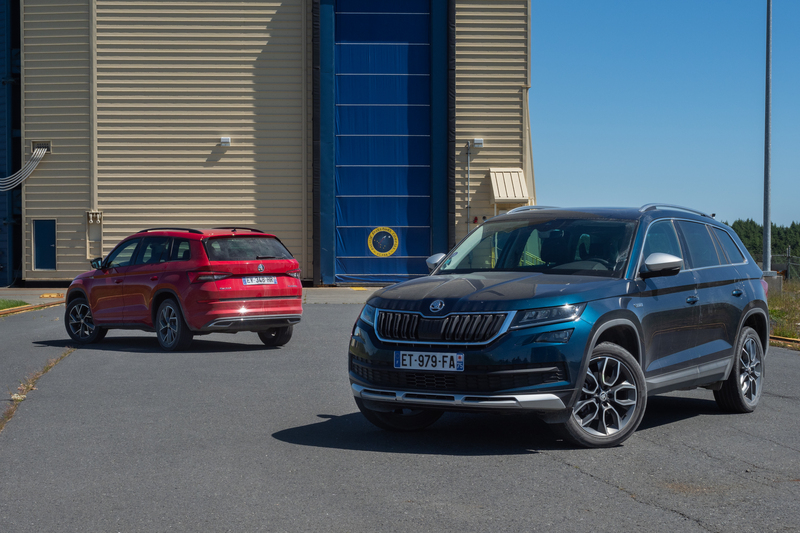 Find out more about how the KODIAQ got its name here. 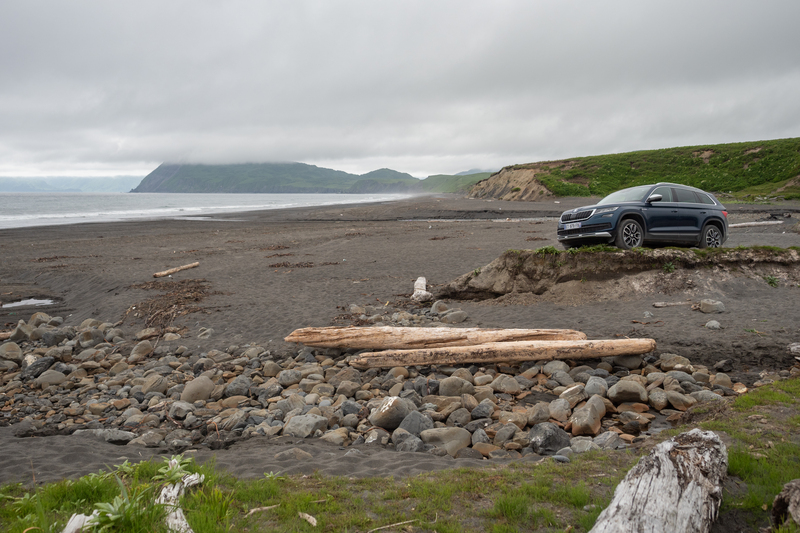 The island is a paradise of rugged beauty and much of it is protected. 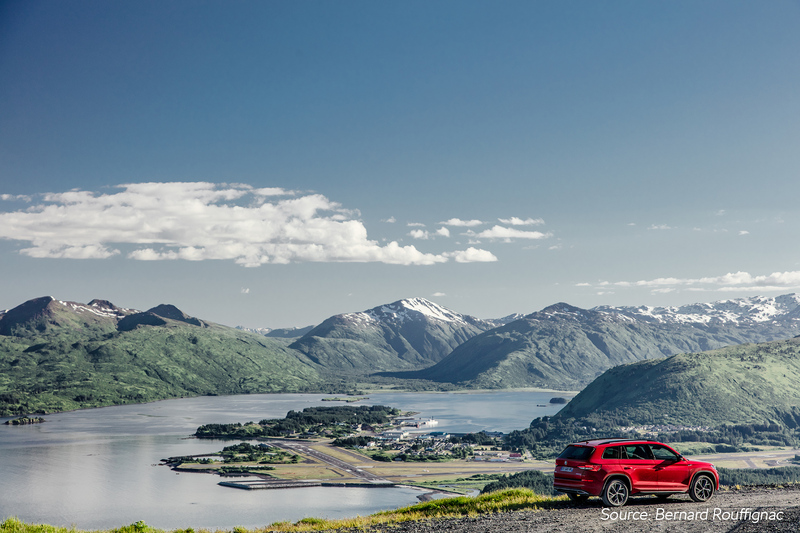 The landscape is formed by steep mountains, narrow fjords, hidden lakes and deep forests. 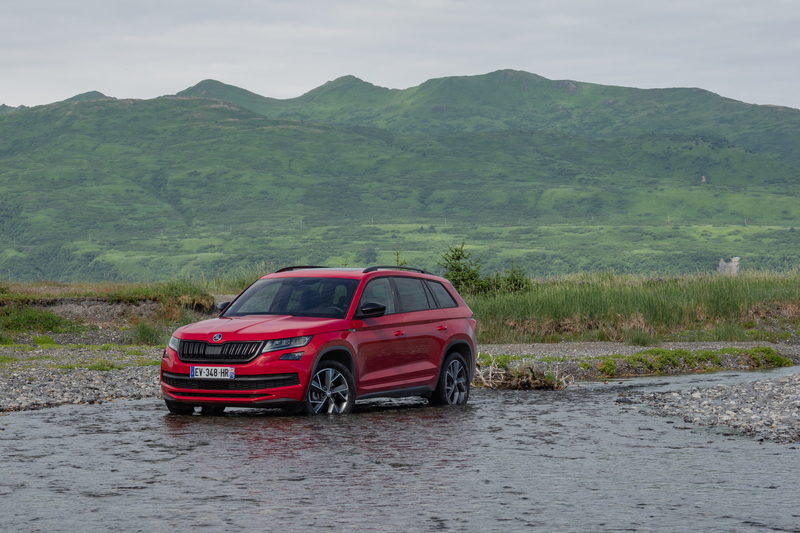 In other words, ideal terrain for the ŠKODA KODIAQ, which can demonstrate its practicality, strength and the advantages of all-wheel drive here. 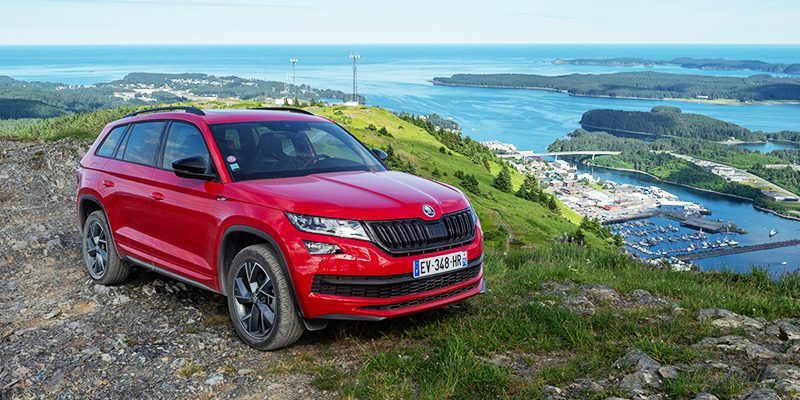 The locals know the ŠKODA KODIAQ well. 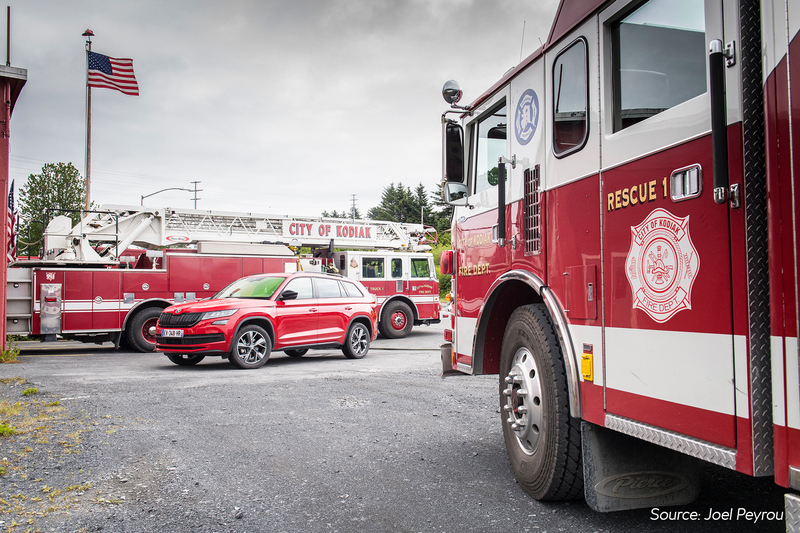 Although it’s not on sale in this neck of the woods, they remember how their town was renamed for a day in honour of the car’s world première two years ago. 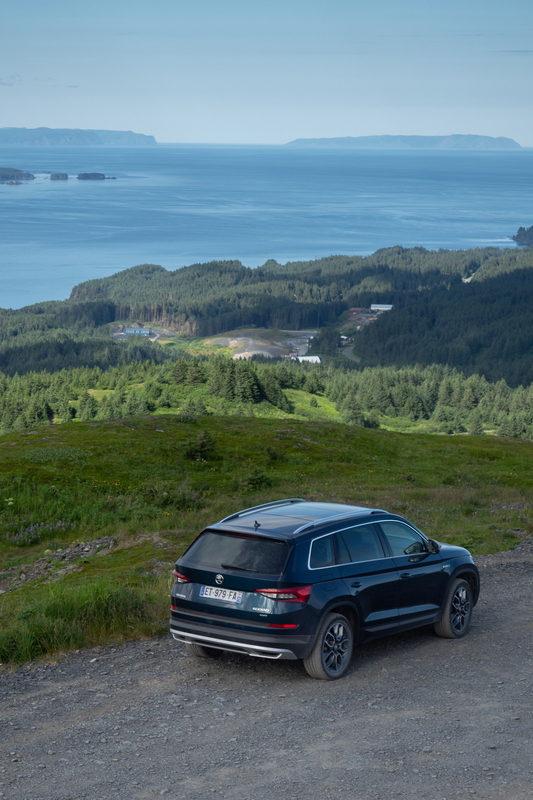 This time, the KODIAQ also took them on a ride round their island. 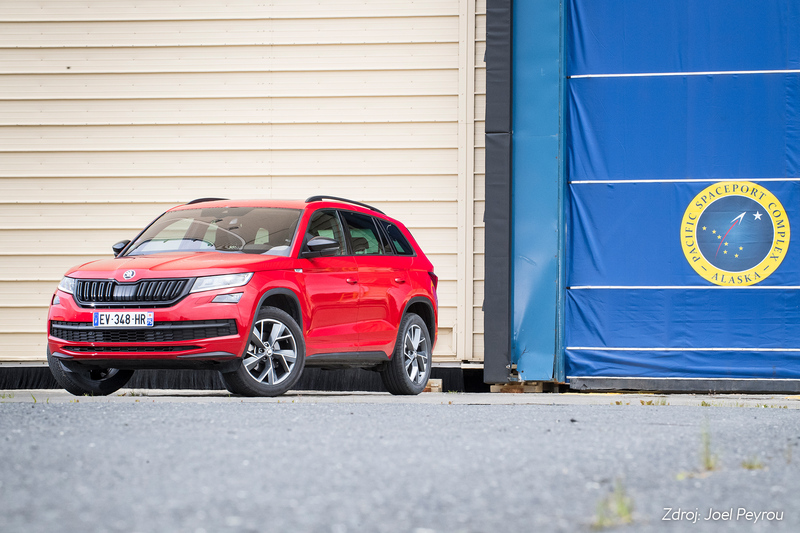 They were able to come to grips themselves with the 150 PS delivered by the 1.5 TSI engine, the roominess of the interior and the luggage compartment, and the Simply Clever solutions, such as the protective door moulding and the ice scraper that every ŠKODA vehicle has under the fuel tank lid. 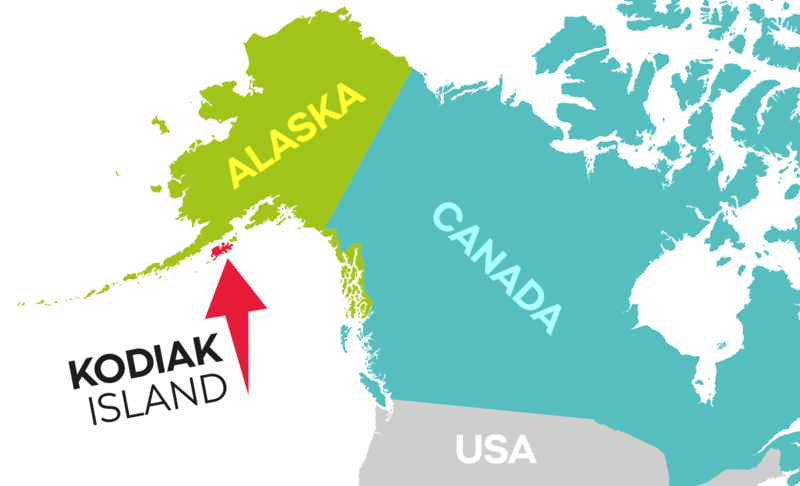 This is precisely the sort of gadget that would make the Alaskan winter easier for local drivers to handle. 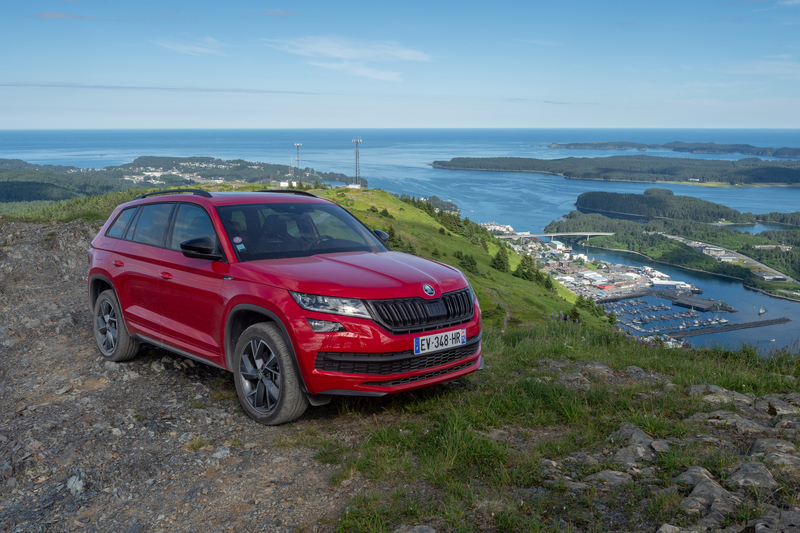 The two ŠKODA KODIAQ were used to take not only local inhabitants, but also journalists from around the world, on a tour round the island. 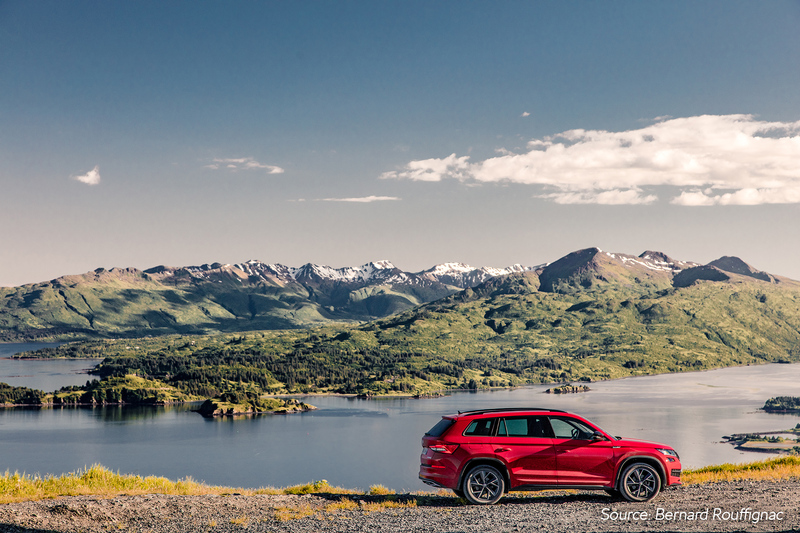 The cars reached the Pacific Spaceport Complex, used for launches into space, Chiniak Lake, and the foothills of Pyramid Mountain without a single complaint.